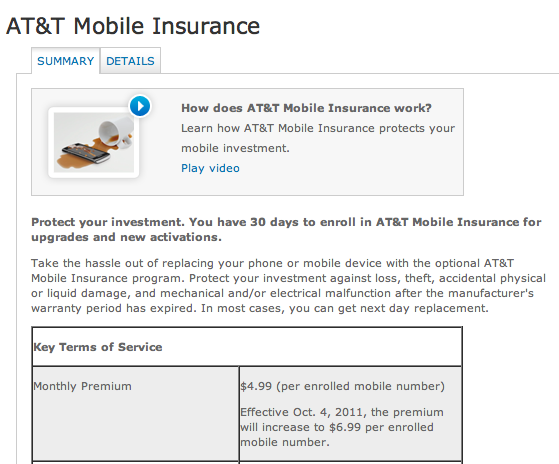 Remember when we brought you news way back in June that AT&T would be increasing its premiums on iPhone insurance on October 4th? This was the very first indication that Apple’s iPhone launch event would be on October 4th. Device Tier 1: Devices will be charged a $50 non-refundable deductible. Device Tier 2: Devices will be charged a $125 non-refundable deductible. Device Tier 3: Devices will be charged a $199* non-refundable deductible. Deductible Tier 3 will become effective October 4, 2011. On this date, certain devices including the iPhone will be moved to this tier.